The X-45 is a American unmanned combat aircraft. There are 2 versions: X-45 and X-47 determined for the US Air Force respectively the US Navy. 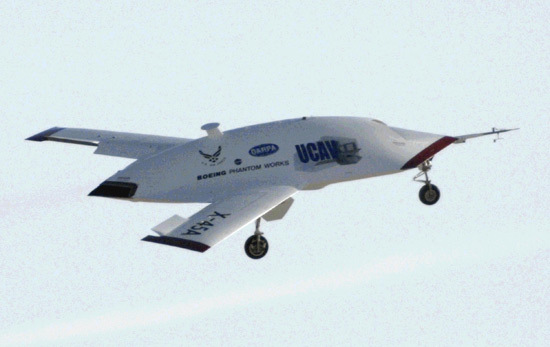 The X-45 will come in service by the US Air Force in 2010. The USAF will going to use the aircraft to take over dangerous mission which are now fly by normal Aircraft.